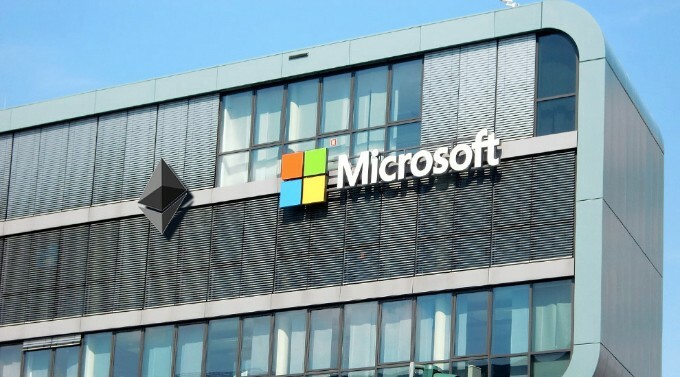 Microsoft’s announcement last week that it is partnering with bank consortium leader R3 CEV wasn’t the first time that the Redmond, Washington-based IT giant has been linked with blockchain developments. However, along with the previous week’s news related to its Visual Studio development environment and Ethereum, the announcement pointed to a significant step up in the company’s commitment to distributed ledger technology. What makes the latest announcement significant is that it is the first time Microsoft has issued its own corporate press release on blockchain, whereas earlier announcements have been from third parties or in the form of blog posts. Corporate press releases usually undergo much scrutiny before they are released, and in a public company like Microsoft, generally need to be approved at senior levels. Thus, if a press release mentions blockchain, one can assume that it is being discussed formally internally. Moreover, the press release coincided with the first day of a new business-focused Microsoft event, called Envision 2016. Held in New Orleans and drawing some 6,000 senior executives, the opening keynote of the event naturally featured Microsoft CEO Satya Nadella, and he took some time to talk about the R3 partnership and blockchain in general. Bringing Ethereum to the enterprise. 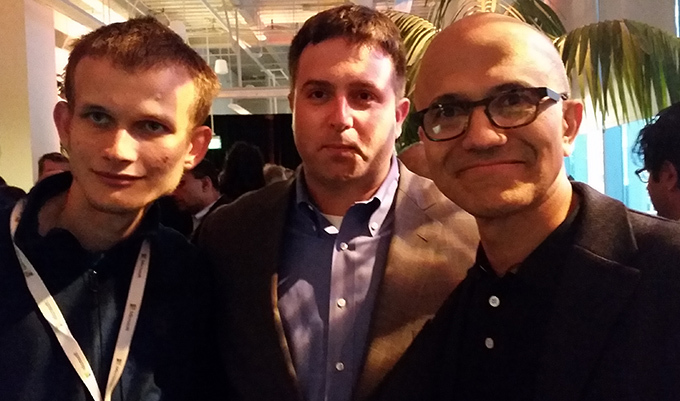 Left to right: Ethereum inventor Vitalik Buterin, ConsenSys Business Development Head Andrew Keys and Microsoft CEO Satya Nadella. Coming from an executive like Nadella, who has been credited as creating a new forward-looking, open and mobile systems vision for what remains an IT behemoth – more than $93 billion in revenue in its last fiscal year – such positive remarks about blockchain represent an understanding of and a vote of confidence in the technology and an indication that Microsoft plans to promote and invest in it. For now, Microsoft’s actual activities with blockchain are fairly straightforward. The deal with R3 is for the consortium to use its Azure cloud service as its preferred (not exclusive) hosting choice within R3’s Lab and Research Center, which works with the 40+ banks in the consortium. Microsoft has been hosting blockchain technologies on Azure for several months, with products from around 30 vendors now available, calling its offering Blockchain-as-a-Service (BaaS). Its first offering – announced in November 2015 – was the result of what might be described as a skunkworks project involving a Microsoft financial services business development executive (and blockchain enthusiast) named Marley Gray, and technologists from Brooklyn, N.Y.-based Ethereum specialist Consensus Systems, which brands itself as ConsenSys. The story goes that Andrew Keys, an executive at ConsenSys with responsibility for its enterprise activities, cold-called Gray, and together they hatched a plan to run BlockApps STRATO, an Ethereum-oriented rapid development environment built by ConsenSys, on Azure. The test worked technically and led to much publicity and kudos for all involved – leading to BaaS being adopted by the likes of Eris Industries, Factom and Ripple. Essentially, it is relatively easy for any distributed ledger application to run on Azure, so long as it conforms to certain technical requirements, and so the cloud platform’s role in the adoption of enterprise blockchains has enormous possibilities. 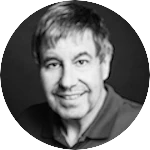 More significantly, the BaaS partnerships likely resulted in blockchain appearing on the radar of senior management at Microsoft, and more resources being devoted to it. Gray has since transitioned his role at Microsoft to be solely focused on blockchain. Indeed, Microsoft’s blockchain interest has already evolved to more than cloud hosting. At a recent developer event, the company announced a further partnership with ConsenSys that has allowed Solidity, the smart contract scripting language for Ethereum, to be supported in Visual Studio, Microsoft’s widely adopted integrated developer environment. "Making it easier for developers to build applications on top of Ethereum through developer tools has always been one of our primary interests and focuses,” said Ethereum inventor Vitalik Buterin. He added, “The integration of Solidity in Visual Studio will help bring Ethereum to a very large developer community. I am looking forward to seeing the results that this collaboration will bring." A strategic product for Microsoft, Visual Studio already allowed the development of enterprise-scale applications in a number of programming languages including C, C++, C#, Python and Ruby. The integration with Solidity creates what Buterin calls a “project scaffolding” with smart contract samples, context-sensitive menus for compilation and deployment of smart contracts and other tools for testing and deploying them. As well as inhouse deployment options, Visual Studio supports Azure as a “one click” target runtime environment, as well as mobile devices running both Apple’s iOS and Google’s Android operating systems. As such, it provides a gateway through which Ethereum blockchains might be implemented within business enterprises, among consortia or partner networks, and across Internet-of-Things architectures. That’s pretty much anywhere and everywhere.